Bone Sialoprotein antibody LS-C17846 is an unconjugated rabbit polyclonal antibody to Bone Sialoprotein (IBSP) from human and rat. Validated for ELISA, IHC, RIA and WB. Recognizes Human Bone sialoprotein (BSP). Does not cross-react with human osteopontin or osteonectin by RIA or ELISA. Species cross-reactivity: Rat. 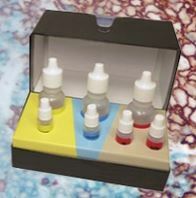 Suitable for use in Western Blot, Immunohistochemistry, RIA and ELISA. An antiserum, 40% glycerol. No preservatives added.